While once thought of as a fading trend, influence marketing is back and hotter than ever. It’s no wonder, with the ever-increasing amount of brand-generated content and ad-blockers making it harder to promote branded content, that brands are looking for new ways to reach their audience. This white hot channel is not only the talk of the town—it’s showing its staying power with results marketers only dream of. Reports are showing returns anywhere from 1.5 times investment to, according to a recent study by Tomoson, an ROI of $6.50 for every $1 spent. You would be crazy not to jump on this bandwagon. I’ve worked in influence marketing, working directly with brands looking to connect with their target audience through a trusted source. While analyzing the profiles prospective influencers, I regularly saw clients shy away from an “ideal fit” and towards the influencers with the most followers. This isn’t necessarily a bad thing—playing the numbers game can be a safe approach. Vanity metrics such as likes, shares, views, and engagement are an easy way to narrow down your list of prospective influencers, but will this approach get you the results you are looking for? The appeal of engaging influencers to share your message is centered around trust. These influencers have built an audience from scratch. They understand that their audience will keep coming back for more, as long as they remain authentic and true to their original brand. So what happens when the influencer becomes popular and is inundated with PR requests from brands? Are they going to turn down the money? Do they have to turn down the money to remain authentic and keep the trust of their audience? Studies have shown that the effectiveness of celebrity endorsements is on the decline. We know that consumers no longer trust what brands tell them. Endorsements aren’t new by any stretch, but the all-access pass to reaching a celebrity and everything they do is new. Consumers are empowered with information and can see when endorsements and promotions aren’t quite achieving authenticity and truth. They saw Beyoncé join Michelle Obama in the fight against childhood obesity and then, shortly after, appear in a Pepsi ad for $50 million. Is this lack of trust spreading to influencers? Today, it’s possible that the girl-next-door beauty vlogger has millions of followers and their own makeup line with the world’s biggest brands—not to mention all the professional gamers, famous mom bloggers, fitness gurus, expert foodies, etc. These influencers are regular people like you and I who became massively famous by offering their opinion and expertise online. These people started with a loyal following that grew over time. They would provide tips, tricks, and recommendations for their audience who trusted everything they said. But as they grow, and the product promotions and strategic partnerships start rolling in, does their word hold the same value as it once did? High-growth influencers reach a point in their career where they are receiving more brand pitches than ever and are seeing a ton of success and reward for their hard work. Their audiences start to point out that the “hottest product this week” is mentioned once or twice and never again (where did that go?). They start to question what opinion is paid for and what is the real opinion of the influencer they love. The Trust Threshold is the point where an influencer’s audience begins to question the motives and expert opinion of the influencer, the point where an audience begins to notice the inconsistencies in promotion and begins to lose trust. The Beauty Context shows examples of this exact moment. When beauty vloggers find “ahhhhhmaazzzzing” products they never show again, their audience becomes skeptical. When an influencer crosses this threshold, their word becomes less effective, and they start to fall into the “celebrity endorsement” category that is coupled with lack of trust. I’ve always been a fan of the long-tail influencer. 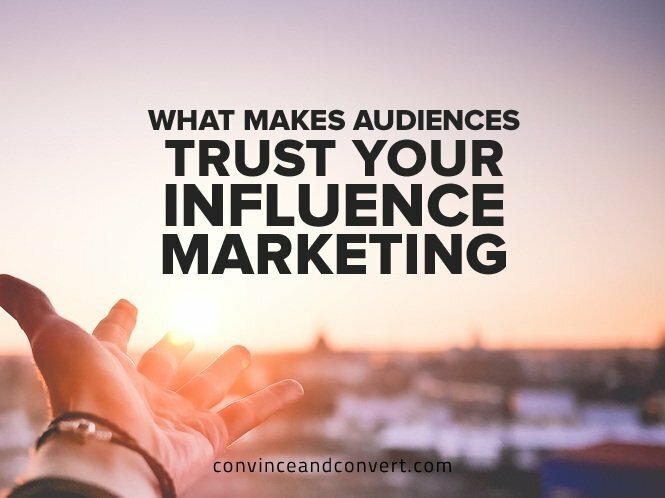 While they may not have the reach you are looking for, they do have the key ingredient influence marketing requires: an audience that trusts their opinion. However, these tend to be the unicorns that are difficult and time-consuming to find. To identify long-tail influencers that are ideal for your target community with speed and ease, use a social graph and affinity data. 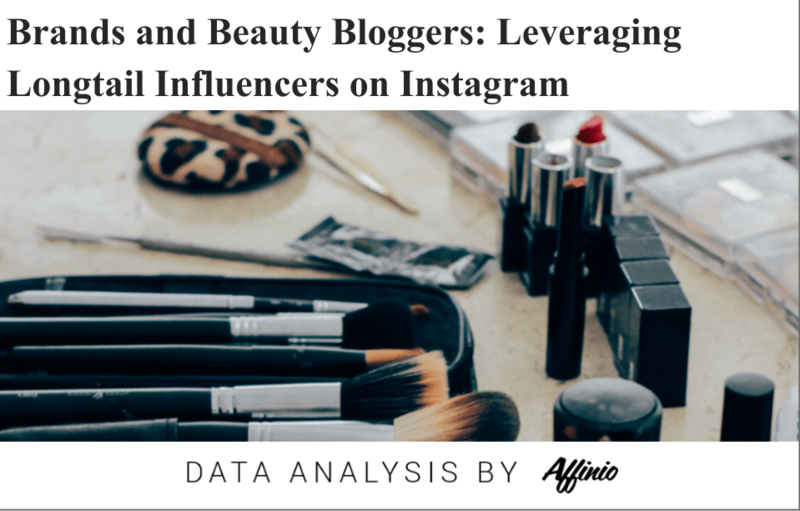 To see an in-depth case study of how you can do this, check out this recent article from the Affinio blog: Leveraging Longtail Influencers on Instagram. Influencers should be compensated. They work hard; it takes a lot of time and effort to build that audience. So how does an influencer keep the trust of their audience while getting paid to do what they love? After working with hundreds of influencers in the past, I learned that the most successful and authentic influencers have a very simple method for earning and keeping the trust of their audience: they are truthful! They disclose when they have been paid to review a product or have an “experience,” and they give their truthful opinions about the product. Brands need to respect that an influencer isn’t going to rave about your product or service just because you paid for it—this is not what influence marketing is all about. They are going to give their audience their truthful opinion. This is why an influencer’s fit is so important. If you find the right one, you won’t need to be worried about negative feedback. Questions around authenticity and trust have long accompanied influence marketing and will continue to. When selecting your next round of influencers, keep in mind that “followers and reach” do not equal “efficiency and success” for your marketing dollars—and keep an eye out for signs of the Trust Threshold. Audiences are vocal about their distrust, so check the comments for any indication that they have crossed this threshold.